Mescalero Apache Telecom, Inc. (MATI) is a full service, state-of-the-art Telecommunication Company specializing in telecommunications equipment planning/designing, installation, maintenance as well as central office design and management. MATI also provides experienced services in all aspects of Informational Technology like Local and Wide Area Network planning/design, installation and maintenance. MATI is providing leading edge services to our own subscribers with premium equipment and knowledge. MATI will provide the best customer care and support needed in today’s technological world. We provide quality work designed with you in mind. Our expert staff will listen to your company’s needs and provide a uniquely designed resolution that best fits your needs and budget. MATI was established in 1995, incorporated in 1999 and has been in service since 2001. We have increased clientele by 85% since opening our doors and we continue to grow state and nationwide. 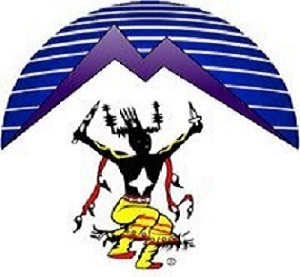 In 1990 when Mr. Enjady began the first steps of developing MATI, it was determined that only 10 percent of the Mescalero residents had access to basic telephone service which created a barrier to business investing in the community not to mention the catastrophic result of the loss of life incidents. In addition to the communications infrastructure, Mr. Enjady developed the first tribally owned telephone company to bring broadband service to the entire residential community! In just one year’s time after purchasing the telecommunications facilities, MATI quadrupled the number of subscribers receiving telephone service. Our customers are able to appreciate prompt, courteous and professional installations, business upgraded PBX systems, Voice Over Internet Protocol (VoIP) and cable and video conferencing services. In addition to the local area services MATI has designed and facilitated outside plant construction and management for other Tribal Organizations. MATI is regulated under the New Mexico Public Regulation Commission (NMPRC). MATI is a registered vendor with the Central Contractor’s Registration for the Federal Government. MATI has been a member of NTCA (The Rural Broadband Association), the Arizona-New Mexico Telecommunications Association and the NTTA (National Tribal Telecom Association). Mr. Godfrey Enjady is the General Manager and founder of the Mescalero Apache Telecom, Inc. Mr. Enjady has over 16 years experience as a Technician/Analyst with CONTEL and GTE-Southwest in the installation and repair of residential phone systems, KEY and PBX business systems, data transmission as well as other aspects of OSP, ISP and customer relations. Mr. Enjady holds numerous certifications from the GTE Technical Schools. Mr. Enjady is a member of the Society of Cable Telecommunications Engineers and also a member of the State of New Mexico Electrical Bureau Journeymen JS-7. As a member of the Mescalero Apache Tribe, Mr Enjady has led the resurgence of utility services, economic and business development by bringing state of the art equipment to the Mescalero Reservation. MATI is committed to becoming New Mexico’s best representative of Telecommunication’s related products and services. It is our mission to provide our customers with high quality products and services at competitive pricing. We will provide exceptional technical support and unsurpassed customer service. Our strength is generated from our commitment to our customers, our industry, our employees, and ourselves. Our goal is to maintain the highest ethical standards and professionalism in all work we do. MATI is "Small enough to care and large enough to provide you with the personal care you deserve."